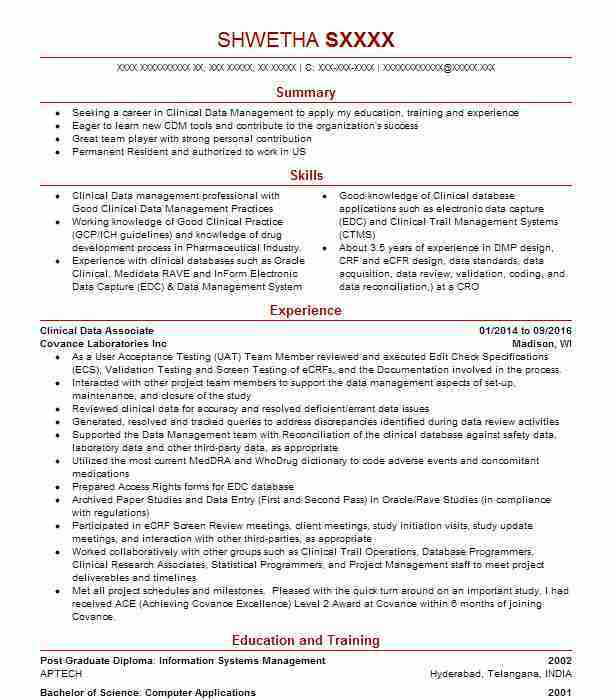 Accomplished Clinical Data Associate who has extensive database maintenance and data mining experience. Adept at keeping updated on federal data regulations following exact instructions from clients and developing formats for final data reports. Specializes in pharmaceutical trials and general practice information. Responsible for auditing all data reports for accuracy before presenting them to management. Assisted in developing an efficient method for mining data from the database for historical research projects. 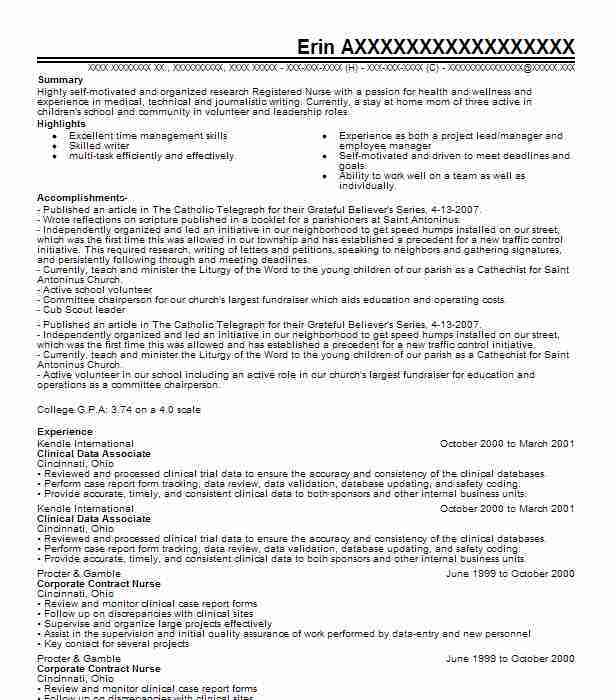 Responsible for creating database maintenance logs and reporting any issues or problems to the database administrator. Assisted in gather data from each clinical trial and putting data into a format for management reporting. Responsible for maintaining all clinical trial schedules and setting up any database files for each trial. Assisted in cleaning up the database once every six months and preventing important data from getting encrypted. Worked closely with research experts to set up efficient methods for collecting clinical data. Assisted in maintaining the corporate database and getting involved in data mining projects. There are plenty of opportunities to land a Clinical Data Associate job position, but it won’t just be handed to you. 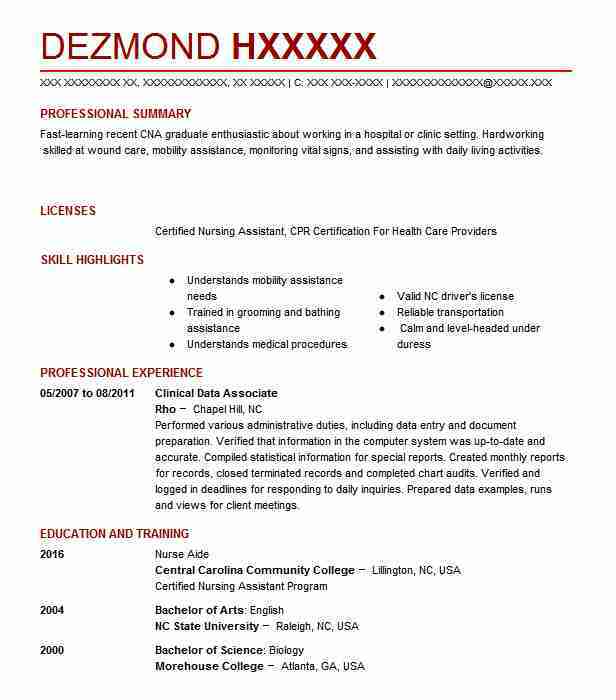 Crafting a Clinical Data Associate resume that catches the attention of hiring managers is paramount to getting the job, and LiveCareer is here to help you stand out from the competition.